It's almost Halloween, and if ever there is a good time to be scared, this is it! You've probably found the best haunted houses in your area, created your family’s costumes for the year, and started decorating for the big night... but have you visited local "ghost tours" in your area? Ghost tours are an entertaining way to not only enjoy enjoy the Halloween festivities, but also get to know your local community. Ghost tours have been around for years; however, they seem to be trending recently. I attended my first ghost tour last year and absolutely loved it! My sister-in-law and I took a little road trip to New Orleans to experience it firsthand. Excited to see what all the fuss was about, we checked into our hotel after an eight-hour drive and immediately headed to the French Quarters to get started. Our group consisted of about 10 adults. We met at dusk and followed our tour guide around, listening to the eerie stories of the historic buildings. We heard stories of passionate affairs, murders, suicides, fires, hangings, and revenge. A great deal of the tour seemed entirely believable, though there were certainly hokey parts that we had to laugh and remember we were paying for a unique form of entertainment! Chances are, you won't have to drive far to experience an impressive ghost tour. Believe it or not, they're all over the country. 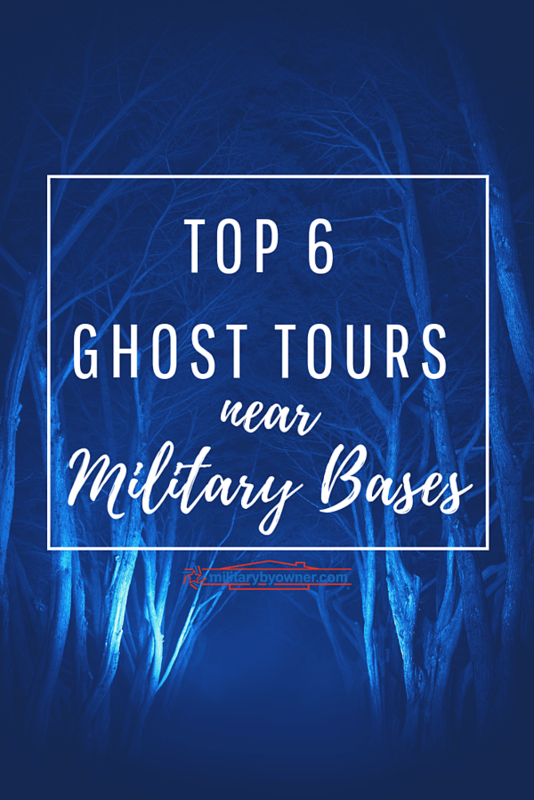 Six of the top ten ghost tours in the country are actually located near military installations and may be in your backyard! Deemed "the most haunted city" in the country, New Orleans is ranked number one for the best ghost tours. New Orleans’ role in The War of 1812 and the Civil War shaped the future for the city, as well as a history of pirates, slaves, and violence. This dark time fuels the haunting stories that you'll hear when taking a New Orleans ghost tour. There are many ghost tours available, but the Haunted History Tours in New Orleans will give you chills. There are several tours to choose. 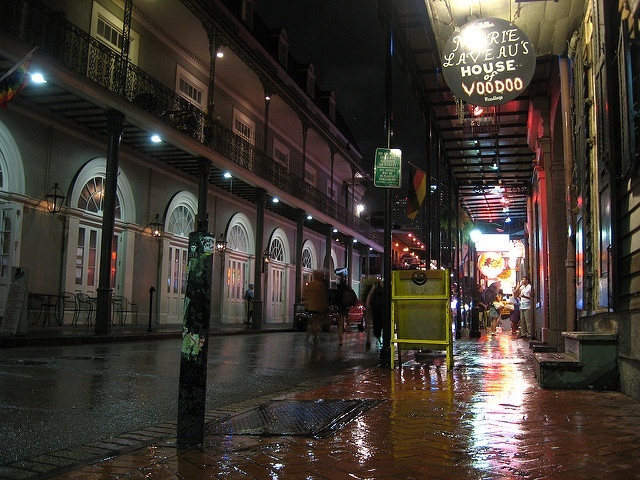 The French Quarters Ghost Tour, for example, takes you to visit sites of documented hauntings---taken from police records, city archives, and paranormal investigations. Each Haunted History Tour guide grew up and currently live in the city of New Orleans. The stories they share are authentic to the ones they grew up hearing as children and adults! In the end, over a dozen people were hanged before the activity came to a halt, and all those accused were released from prison. 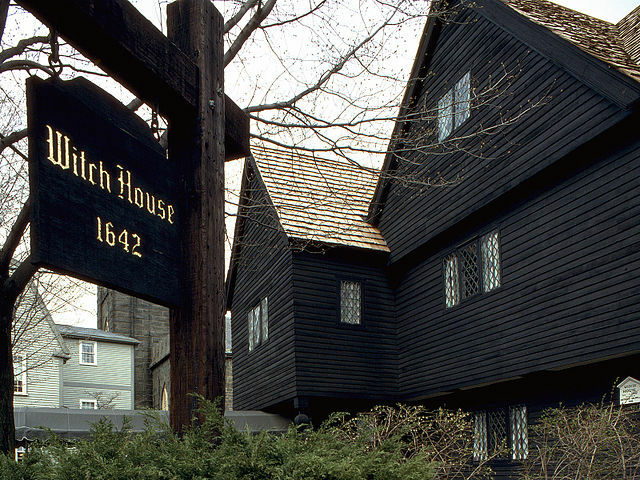 With such a history, it's no wonder Salem is known for their incredible ghost tours. Voted number three on the list, Salem is known for their impressive ghost tours. The most notable tour is the Salem Witch Walk. The tour is guided by real Salem witches. On the walk, guests are informed of witchcraft and its modern presence in Salem. Guests are also given a "magic crystal" by a Salem witch. According to the Tombstone Web, “at its peak, [Tombstone] is said to have been the fastest growing city between St. Louis and San Francisco. 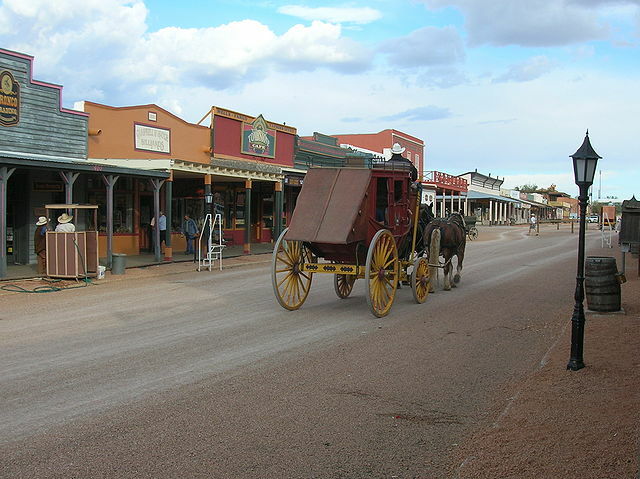 There were over one hundred saloons, numerous restaurants, a large red-light district, an even larger Chinese population, schools, churches, newspapers, and one of the first public swimming pools in Arizona (which is still used today).” Its cultured history and Western charm is what makes Tombstone, Arizona number five on the Top 10 Ghost Tours in the US. 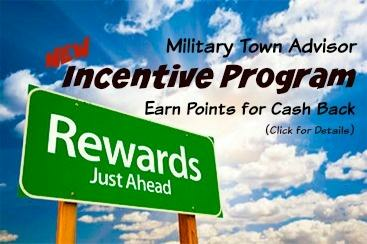 Gunfighter and Ghost Tour takes you to see several historic sites within the city. On the tours, guests hear about the deadliest corner in Tombstone, Bird Cage Theater, the Campbell and Hatch Billiards mysterious murder, and many more stories within the city. By the 20th century, New York City consolidated its distinct neighborhoods and became the New York City that we've come to know and love today. New York's colorful history of war involvement and immigration make the city a wonderful place to attend a ghost tour. Ghosts of New York says, “for every New York neighborhood you care to explore, there are ghosts and chilling ghost stories, " which is probably why New York is rated number six out of the top ten. In one neighborhood, hear tales of Edgar Allen Poe and Harry Houdini. In another, learn of Eleanor Roosevelt and Alexander Hamilton in ways you never imagined. 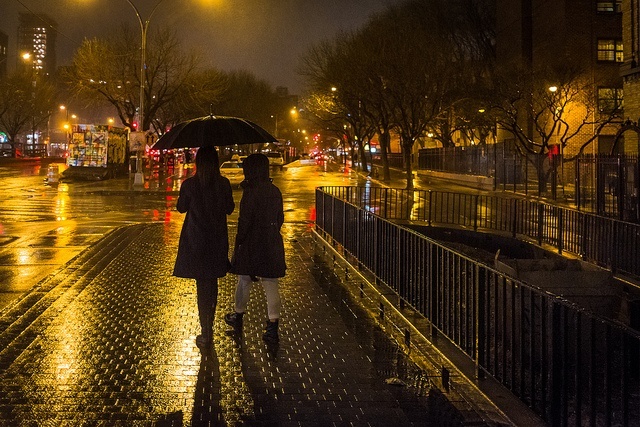 Ghosts of New York lets you choose from several walking tour. While they all come highly recommended, the Edgar Allen Poe walking tour is said to be incomparable to others in the country. The first Europeans to arrive claimed the Island for the Spanish Empire, which was later turned over to Mexico and then to the United States. The island has served as a stop for smugglers, gold diggers, pirates, hunters, the Union army, and missionaries. Through the many owners the island's had, the property has more recently served as a training location for the Chicago Cubs and as a popular spot for Hollywood filming. 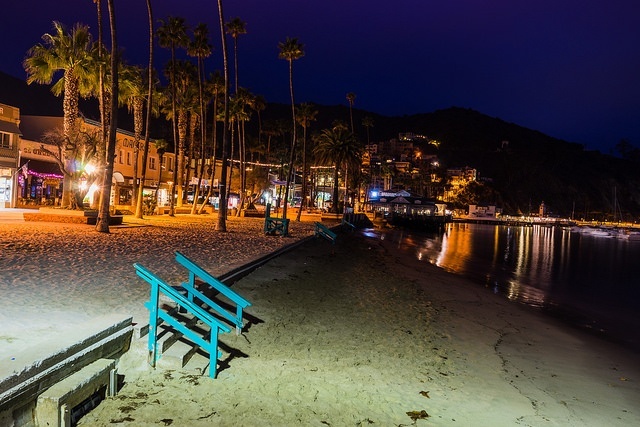 Catalina is now host to a world class resort, a destination for many tourists. The island’s diverse history and involvement with crime sets the tone for its impressive ghost tours offered today. Savannah, like the other southern states, was greatly affected during the Civil War years. A once beautiful, cotton-thriving city that survived The Revolutionary War, yellow fever, hurricanes, and fires, it suffered an extreme economic drop during the Civil War. During the Reconstruction period, the economy was in ruins. Despite these hardships and the added burdens of prejudice, the freed slaves who remained in Savannah built a thriving community with its own churches, schools, and economic strength, and the city became one of the most historically significant African-American cities in the nation. Savannah played witness to many violent times. Perhaps it is this simple fact that makes their ghost tours so memorable. 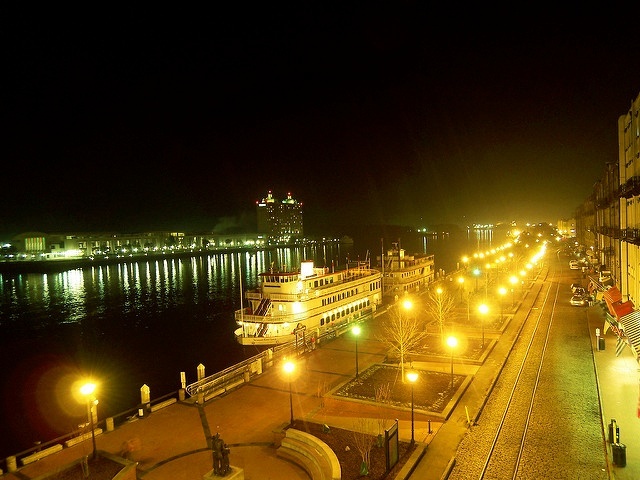 Savannah is now deemed as host to the ninth best ghost tours in the country. Instead of walking, you're invited to ride around in a hearse! Hearse Ghost Tours takes you to “cruise over the cemeteries and through the beautiful streets of the Historic and Victorian districts.” You'll “hear of the spirits and ghost that are believed to haunt Savannah [and] see striking buildings where strange energies linger.” If you're stationed nearby, make the effort to sign-up for this ghost tour this season! Whether you're located near these duty stations or not, you may want to add a ghost tour to your list of things to do this fall!